BOAT PARTY TENERIFE, dance until the sun goes down! 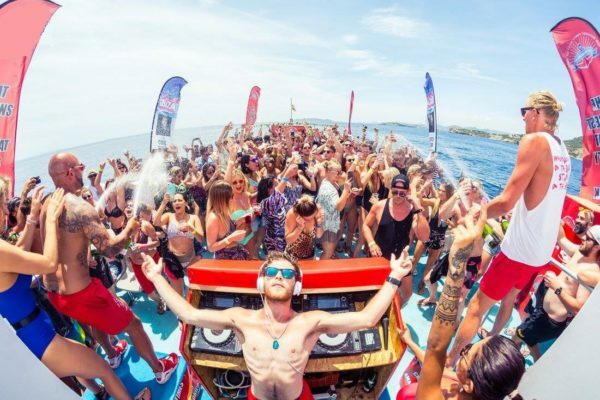 Enjoy the best boat party in Tenerife and dance until the sun goes down! Tenerife a place for families and old people? No f****** way !!! 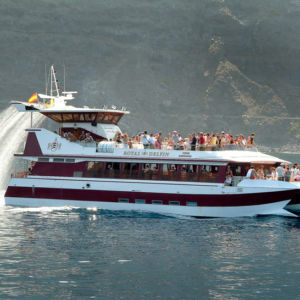 We invite you to partecipate in our boat party Tenerife and give us your opinion! 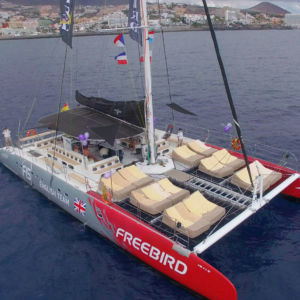 First of all we start with a pre-party in a bar at the harbour Puerto Colon around 15:45 in the afternoon; here you meet the crew of the boat party Tenerife which offers you a tasty humburger. During this moment you start socializing with other people attending the event; there is a nice friendly atmosphere since everyone is on holiday and wants to have fun meeting new people. 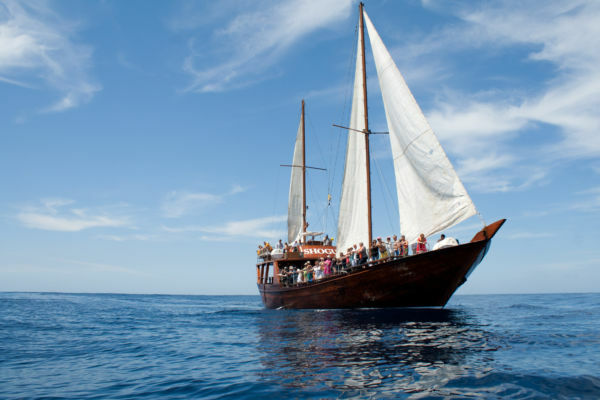 At 17:00 we head to the pantoon and start getting on our massive pirate boat; once everyone is on board we leave the harbour and begin our juorney sailing direction north in Costa Adeje. Our sound system starts to emit sound waves of the most recent electronic music from Ibiza played by professional DJs; you can now get your first drink at the bar, we offer unlimited sangria, beer and vodka cocktails for the first 2 hours! 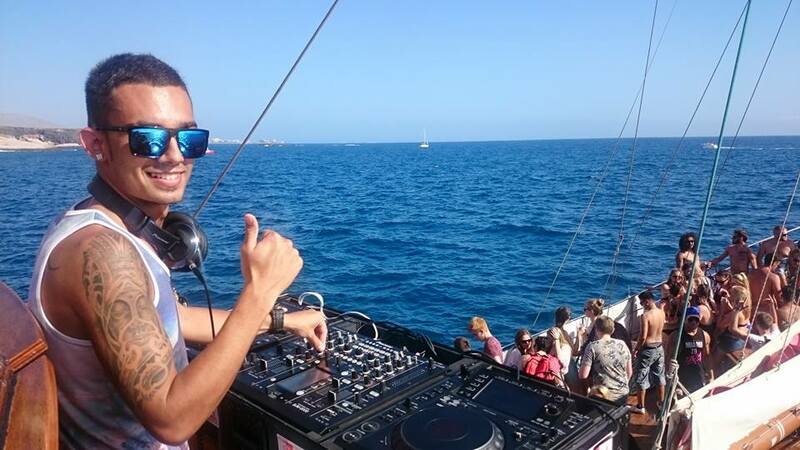 So here we are, enjoying the strong sun of Canary Islands, dancing amazing music on the boat party Tenerife; in front of us the western coast with its pristine waters and an amazing view of the volcano Teide. 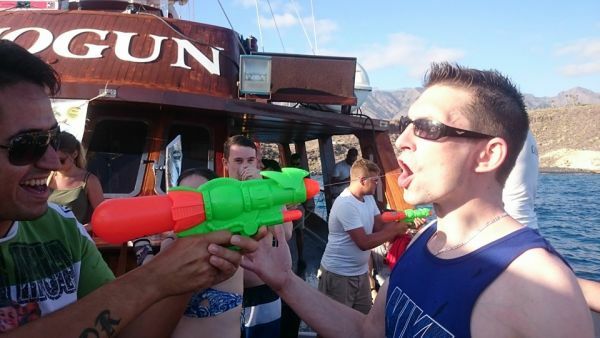 Soon you find yourself making new friends and sharing this nice moment with other guys from everywhere; the boat party Tenerife is indeed an international party and we are all here to have fun together. 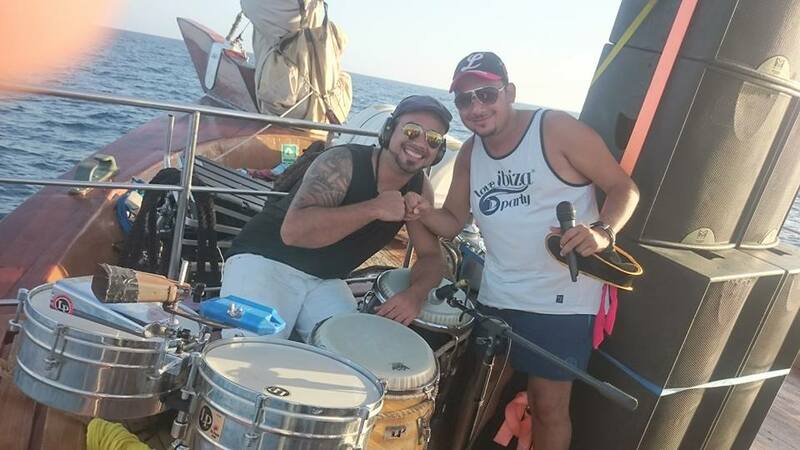 We have also musicians on board of the boat party Tenerife who will perform live music; saxophone, percussions and a singer will accompany the DJs, making the music special and unique. While having fun we are slowly travelling to a beautiful beach called Playa Diego Hernandez; once we get there we anchor the boat and we can now dive into the ocean if we feel like refreshing ourselves. The party goes on until the sun goes down around 21:00 in the evening; by this time we are back at the harbour, sure that we had a great time! 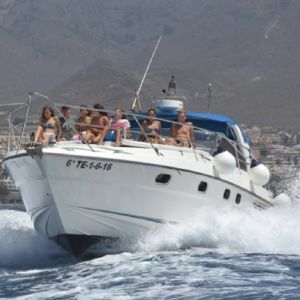 The boat party Tenerife is available only on Thursday and Sunday; to partecipate you have to be at least 18 years old; there is no boat party during the winter months.